Here we would like to offer you everything that you need to decide for a stay in our beautiful and fairly priced apartment in Berlin. There are some pictures of the apartment available for you als well as some facts and the floor plan. See for yourself how central the apartments location is within Berlin. It is in the heart of Berlin Mitte but also very close to Prenzlauer Berg. The Alexanderplatz, where the apartment is, is also the center of public transportation, so you can reach within short time and easy other touristic attractions. You will discover how fairly priced the appartment is. Please check our occupancy plan before making an inquiery for renting the apartment. 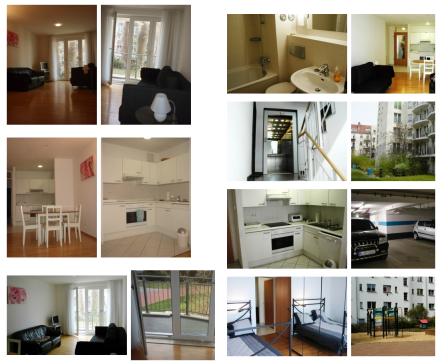 For travelers wishing to rent an apartment in Berlin has many fine choices available. The city has hundreds of apartments available year round. Many travelers consider apartments as the perfect hospitality arrangement because they are more affordable than hotels and nicer than hostels. For both families and friends traveling together, apartments can meet their needs. With a little research, tourists can find an apartment to match their needs and wants. Apartment rooms range from small studios to over three bedrooms. For people travelling in groups, they can most likely find one nice apartment that will accommodate everyone. How apartment rentals work is that one room is rented and can be shared with others. The more people that share the room, then the more the cost can be spread out, and the lower the rate is per person. Every room has an occupancy limit, so travelers will have to take heed of that as well. In Berlin, apartments are spread throughout the city. All tourists can find an apartment in the area they choose, whether it be in the city center or outside the main tourist districts. The most popular districts are Berlin Mitte, Tiergarten, Prenzlauer Berg, Schoneberg, Charlottenberg, and Kreuzberg. In renting an apartment Berlin offers a variety of choices that are easy to find and book online. Although travel books may mention a few low priced apartments, hundreds more are listed on the Internet. Online future tourists can see pictures, maps, and read reviews left by previous guests that are not available in travel books. Another benefit of using a rental apartment website is that the rental process is expedited because the website shows room availabilities and allows viewers to book an apartment. Many travelers enjoy staying in an apartment in Berlin because it is convenient and offers easy access to the best tourist attractions in Berlin. Berlin is a popular destination for travelers around Europe. In fact, it is one of the most popular European cities. Berlin offers visitors a view of the traditional German culture. In addition, tourists are fascinated by the important role Berlin has played in modern European history. During the day, tourists can peruse museums and monuments. They can take breaks at the many cafes and restaurants serving authentic German foods or international cuisine. At night the city comes alive at many clubs and bars, where tourists can party with locals and friends alike.